Feeding the cows is nearly a full time job! The feeder’s day starts at about 2:30 am. The feeder does double duty getting the cows up and cleaning the pens for the morning milking, which starts about 2:45am. It takes about 7 hours to feed all the animals on the farm. They all need to be fed everyday, that means weekends and holidays as well! 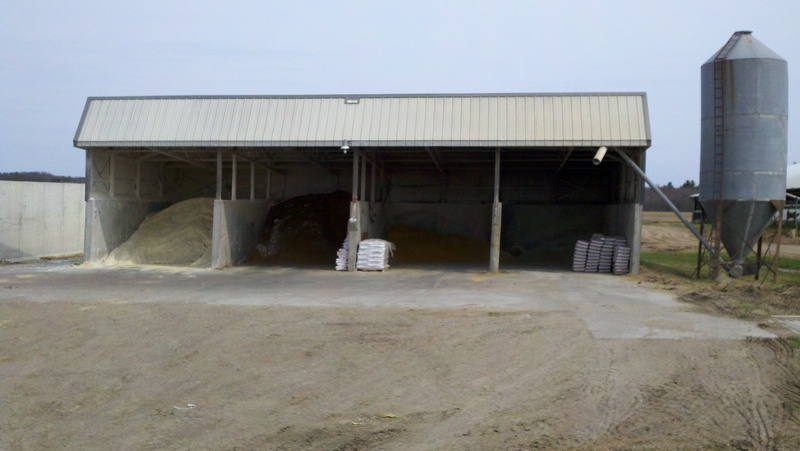 From left to right the shed contains: dry ground corn, canola meal, distillers (an ethanol bi-product) and dry cow protein. The bin contains protein for the milking cows, and the bags are various minerals that we add in small amounts to the feed. 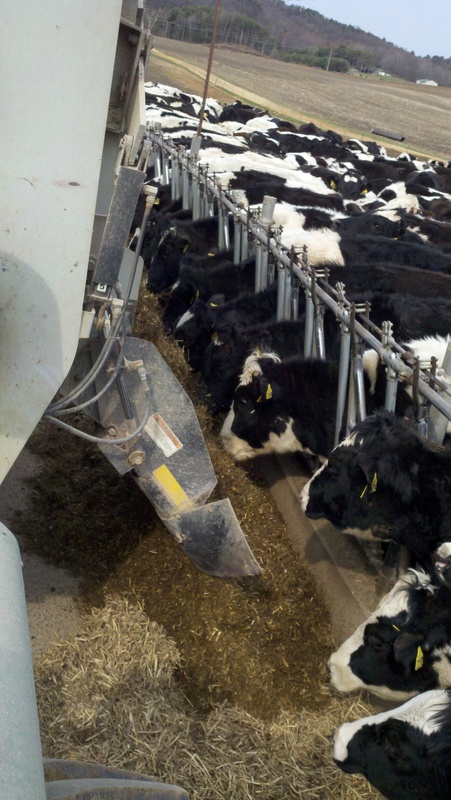 All of the feed is mixed up in the TMR (total mixed ration) wagon. 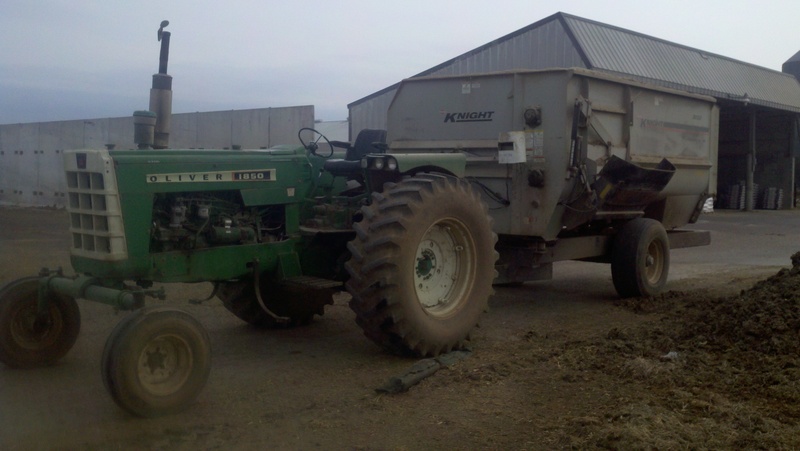 This tractor runs for several hours everyday, it has something like 26,000 hours on it! In total we mix up 9 different rations based on the animals age, and amount of milk they are producing. We mix one of the rations twice, for a total of 10 loads of feed every day! We have to do this because cows feeding in a bunk tend to push the feed away from them, until eventually they can’t reach it anymore. The next morning, any remaining feed will be picked up and weighed to make sure we aren’t getting to much feed out everyday. 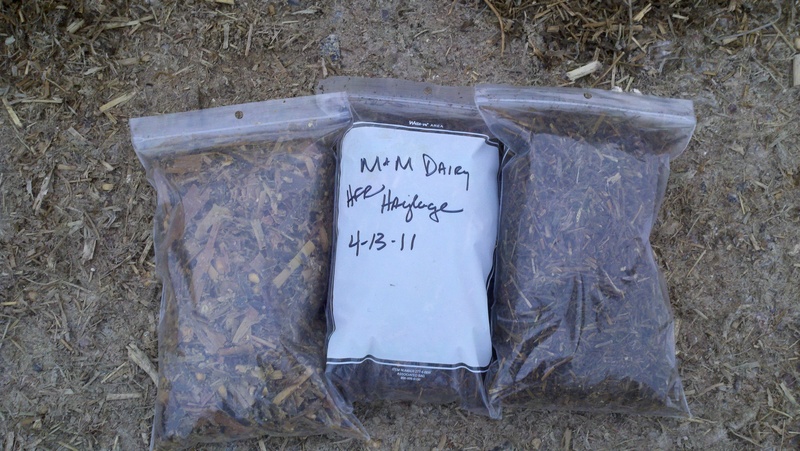 The refusals are mixed into one of the heifer mixtures, as they don’t need as high quality of feed as the cows do. Then the process starts all over again! Yeah. 😦 Wish he could have seen me come back to the farm. 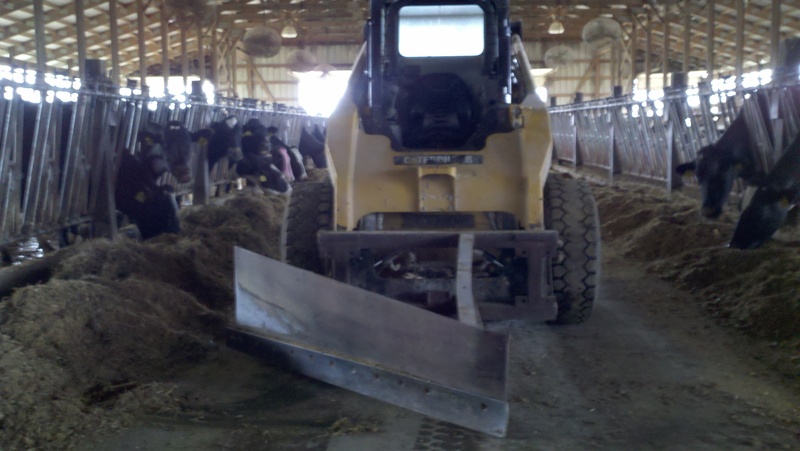 Wow, part heavy equipment operator, part nutritionist, part….. you wear many hats. Yep. 🙂 That is part of the appeal to me…so much variety. I was bored in my old job!